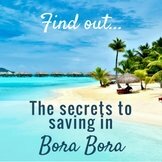 If you are wanting information on flights to Tahiti from around the world you have come to the right place! Here's how to get to Tahiti and which airlines to fly, from where ever you are in the world. 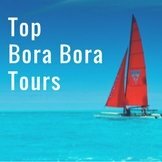 For information on inter-island flights around Tahiti and her islands, you will want to visit flights to Bora Bora. 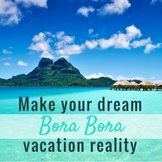 United Airlines (UA) offers direct flights to Tahiti from the US mainland. Flights depart from San Francisco to Papeete 3 times a week, on Tuesday, Thursday and Sunday. 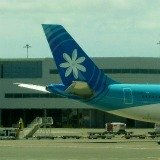 Air Tahiti Nui (TN) from Los Angeles. Air tahiti Nui has flights leaving Los Angeles 6 days per week Wednesday to Monday and multiple flights per day. Flights return from Tahiti every day of the week, with 2 or 3 flights per day. Hawaiian Airlines (HA) have flights to Tahiti from Honolulu (HNL) once a week. 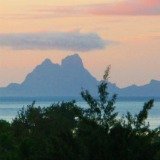 Air France (AF) has four flights a week to Tahiti (one is a code share with Air Tahiti Nui) on Wednesday, Thursday, Friday and Saturday. French Bee (BF) is a French low-cost long haul airline that flies between San Francisco and Papeete 3 times a week. Wondering which airline from the USA? Obviously the cost will come into consideration. Here is the difference in the airlines flight schedules into Tahiti. When you fly with Air Tahiti Nui or United Airlines, you arrive at night and spend the first night of your trip in Papeete. On your last day of your trip, you will fly out at the end of the day. 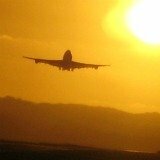 Flying with Air France or French Bee you fly over-night and arrive in Papeete in the day. 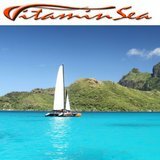 At the end of your trip you would then spend the night in Papeete before your early morning departure. Everyone debates as to whether it is best to stay the night on arrival, or to keep travelling though to their inter-island flight. Some people prefer to take the night flights and sleep on the plane. Then they arrive in Tahiti during the day, ready to visit the Papeete market place or continue on to their inter-island flight. I cannot sleep on planes. So I prefer to have a day flight that arrives at night, so I can have a good night's sleep at a Tahiti resort. So I choose Air Tahiti Nui. Then I feel more alive for the following days activities. I also find the islander hospitality on Air Tahiti Nui to be wonderful, and it gives you a taste of the island spirit before you arrive. 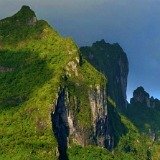 If you arrive in the daylight you see Tahiti's lush valleys and peaks from the air, as you land. And, if you are going to be traveling on inter-island flights, you will have other opportunities to see the beautiful islands and their lagoons from the air. 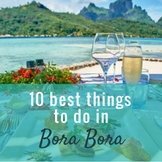 Everyone says Bora Bora is very beautiful from the air. So if you are flying to Bora Bora, here is the side of the plane to sit on for the best views. Hawaiian Airlines (HA) flies to Tahiti every Friday and returns every Saturday. So it is easy to schedule a 1, 2 or 3 week trip. You could even have a few days in Hawaii as well. This breaks up the journey, which is especially great if you are flying from the east coast of the USA or from Europe. The flight time from Hawaii to Tahiti is 5½ hours. Air Tahiti Nui (TN) flies out of Auckland twice per week, on Thursdays and Sundays. Return Flights are on Wednesdays and Saturdays. Air Tahiti Nui flights arrive at night. 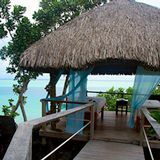 So you will spend the first night of your trip in Papeete. On your last day of your trip, you will fly out at the end of the day. Air New Zealand (NZ) flies out of Auckland four times per week, on Sunday, Monday, Thursday and Friday. Return flights are on Wednesday, Friday, Saturday and Sunday. Air New Zealand has 3 flights that arrive during the day, and one flight arriving at night. With Air New Zealand, you can choose to arrive during the day or night. 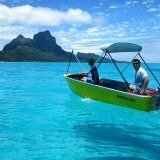 Each time I have flown Air New Zealand for my Tahiti airfare, I have used frequent flier points. So I've only been able to travel on a flight that arrives around 10.30pm. That's OK though, as I prefer arriving at night to have a good sleep before the next day. The one thing that you miss out on with a night-time arrival though, is not being able to see the island from the air. But if you are taking inter-island flights, you will get to see other islands from the air. 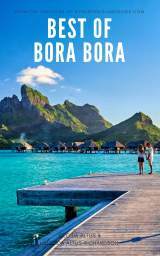 Bora Bora is particularly beautiful. 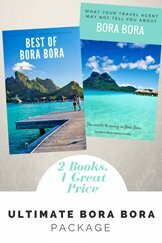 So make sure you know which side of the plane to sit on to see the best view when flying into Bora Bora. Canadians heading to Tahiti will first need to fly to Los Angeles International Airport. 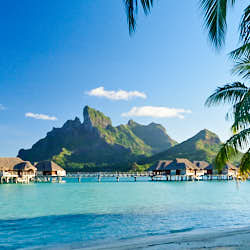 From here, a direct flight to Tahiti can be taken with Air Tahiti Nui or Air France. Hawaiian Airlines also fly to Tahiti from LA, but has a stop off in Honolulu. The flight from Los Angeles to Tahiti is just over eight hours. Air tahiti Nui (TN) has flights leaving Los Angeles 6 days per week Wednesday to Monday and multiple flights per day. Flights return from Tahiti every day of the week, with 2 or 3 flights per day. Hawaiian Airlines flies (HA) to Tahiti every Friday and returns every Saturday. 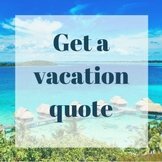 So it is easy to schedule a 1, 2 or 3 week trip. You could even have a few days in Hawaii as well. This helps break up the journey. 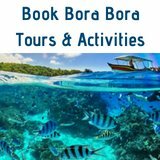 Flights are also available to Tahiti from Rarotonga in the Cook Islands and Noumea in New Caledonia. 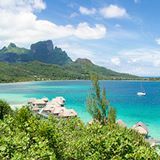 One direct flight from Noumea to Tahiti is available with Aircalin (ACI) on Fridays. Flight time is 6 hours. More flights are available by going through Auckland. One direct flight goes per week from Rarotonga to Tahiti on Thursdays with Air Tahiti (the inter-island carrier of Tahiti, not Air Tahiti Nui). Flight time is 2 ½ hours. LAN Chile Airlines flies to Tahiti, twice per week, from Santiago. Flights go through Easter Island. Flights depart Tokyo on Saturday and Monday. 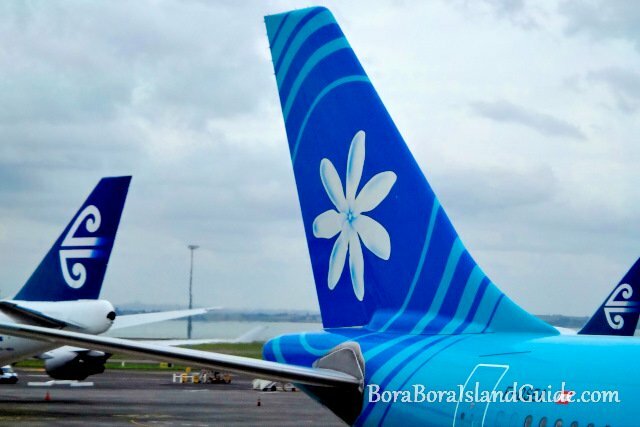 Air Tahiti Nui Flights from Japan arrive in Papeete in the morning, around 8.30am. Return flights to Tokyo leave Papeete on Friday and Sunday at 7am in the morning. Air France (AF) flies from Paris to Tahiti with a stop over in Los Angeles. Air France has four flights a week from LA to Tahiti (one is a code share with Air Tahiti Nui) on Wednesday, Thursday, Friday and Saturday. Hawaiian Airlines (HA) have flights to Tahiti going via Honolulu (HNL) once a week. French Bee (BF) flies from Paris to Tahiti on Sunday, Wednesday and Friday, with a stop iin San Francisco. Another option is to venture though Asia to Tokyo, or visit New Zealand. From all these airports you can fly directly to Tahiti's International airport in Papeete with Air Tahiti Nui.